Is there a better alternative to DropVox? Is DropVox really the best app in Audio category? Will DropVox work good on macOS 10.13.4? 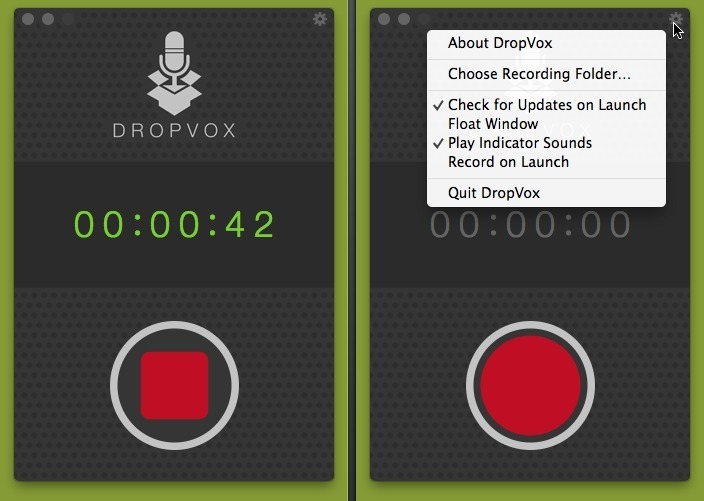 DropVox is a minimalistic audio recorder for Mac OS X. Click the red button to start recording. Double-click to pause or single-click to stop and have the recording saved to a pre-determined folder in MP3 format. Also check out DropVox for iOS which uploads recordings automatically to Dropbox. Free to use while in beta. Added a menu bar icon. Fixed a lag that could happen on launch.